Yes! 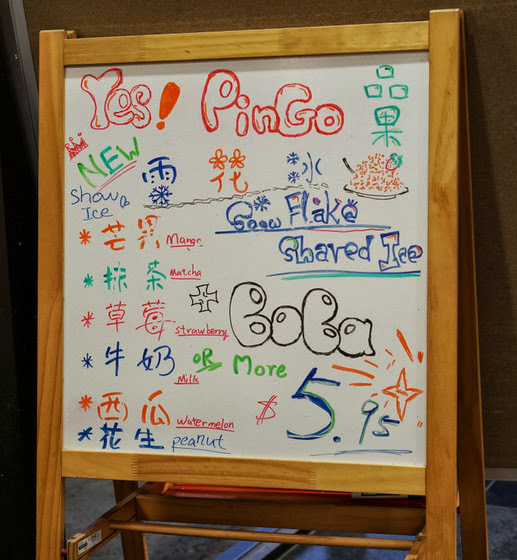 Pingo recently added snow ice to their menu. Given my snow ice obsession, I had to go check it out. Right when we entered, there were signs announcing the snow ice, which actually hasn’t been updated on their regular menu. They have quite a few flavors of snow ice, but very limited toppings. 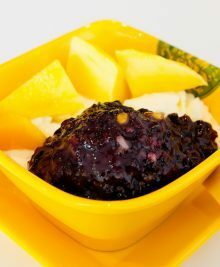 It’s basically the same topping you can get you for your tea drinks: boba, aloe vera jelly, pudding and condensed milk. Each bowl comes with three free toppings. The server recommended mango or peanut, so we chose mango. We asked for condensed milk, caramel pudding, aloe jelly. 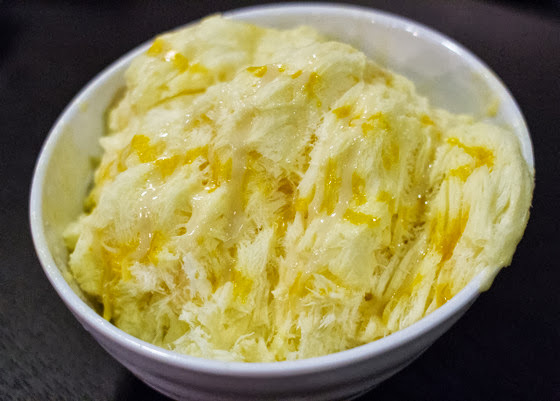 Aside from the condensed milk, the toppings were at the bottom of the bowl, which prevents the ice from melting as fast. While the ice didn’t follow into ribbon layers, it was quite soft and fluffy. I was actually quite impressed. This was the best bowl of snow ice I’ve had to date in San Diego. I just wish the toppings weren’t so limited. I was able to watch the employee make our snow ice from a distance. They use the panda/cow patterned machine which comes from Taiwan. Mr. K has become crazy observant about the machines. 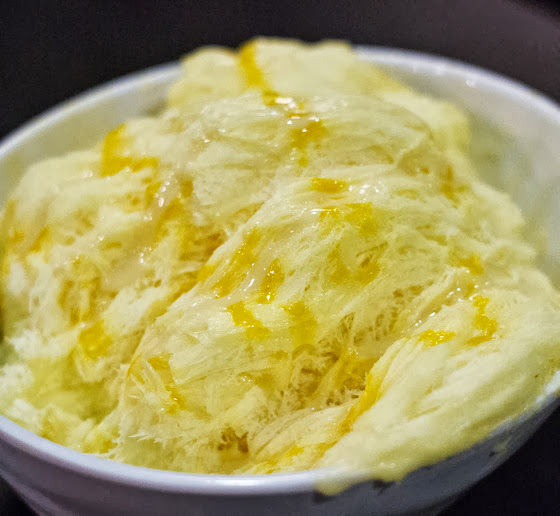 He’ll only try snow ice at places that use the Taiwan machines because he thinks those machines work better. He also pointed out that this one was automatic whereas some of the other versions we’ve seen use a foot petal to control the flow. They were also doing a buy 1 get 1 free deal on drinks if you check in on yelp, so we were able to take advantage of that. 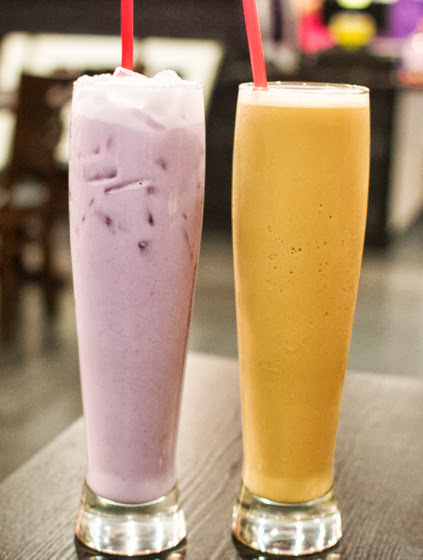 My cousin ordered the taro milk tea and Mr. K ordered a honey milk tea. Both arrived in these ultra tall glasses. I ordered the tapioca milk tea. 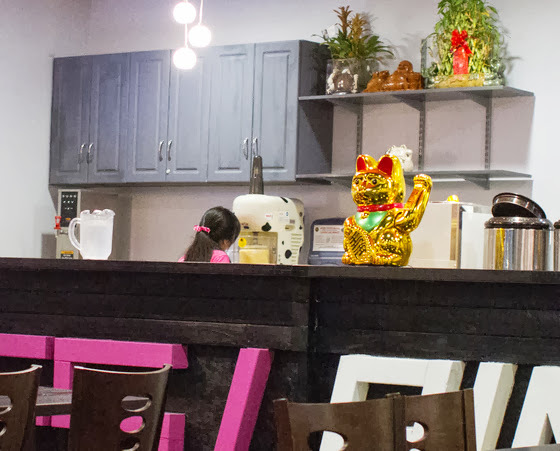 I like the milk tea here. 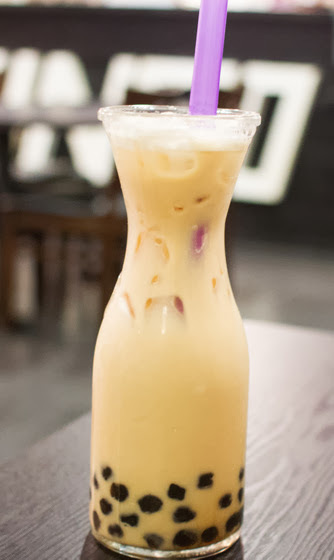 It’s not overly sweet and the boba has a good consistency. They do seem to take unusually long to make their drinks. We got our snow ice long before our drinks arrived. We’ll definitely be back to try more snow ice flavors. 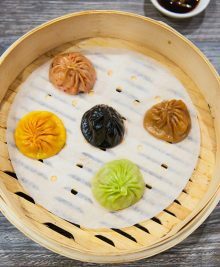 You can read Jinxi’s post on the snow ice here. I like how the toppings are at the bottom. That’s a better idea than having it weigh down the top layer and make it melt faster. 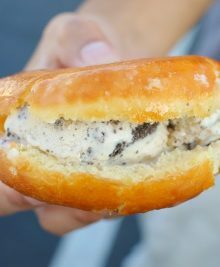 I want to try the peanut one next time! I actually wanted to get both but the server said one was plenty for us to share. But after I finished, I was thinking, we totally had room for both! haha.